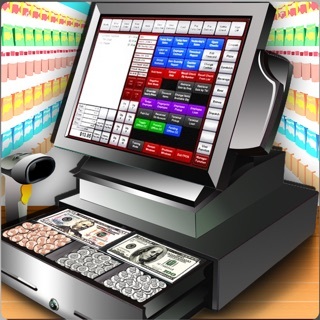 Does your child love to play shopkeeping games? 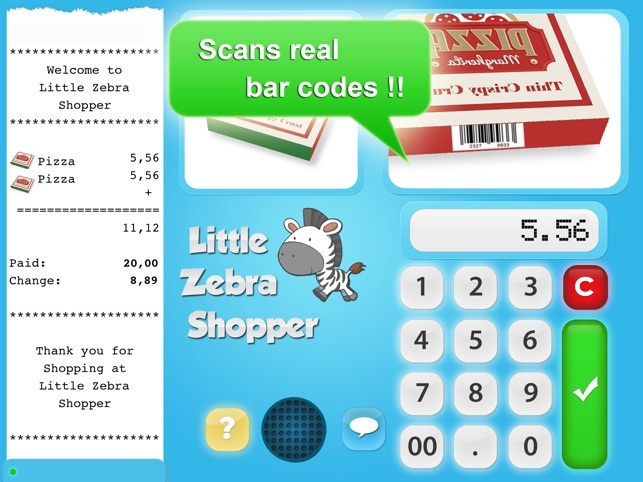 Little Zebra Shopper is the ultimate virtual cash register that even scans real bar codes! 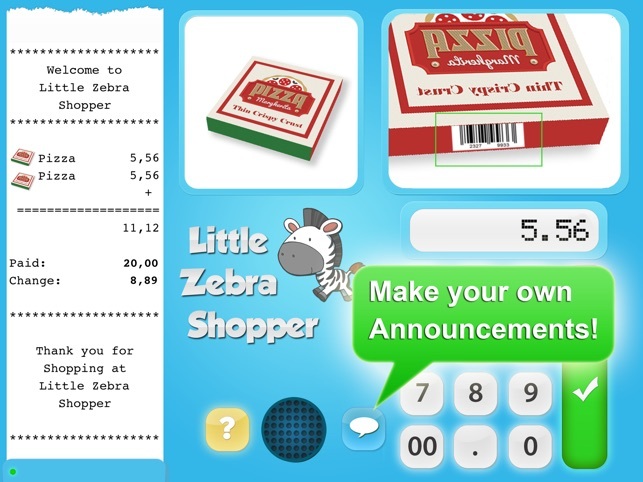 Little Zebra Shopper turns your iPad into a real cash register for children. 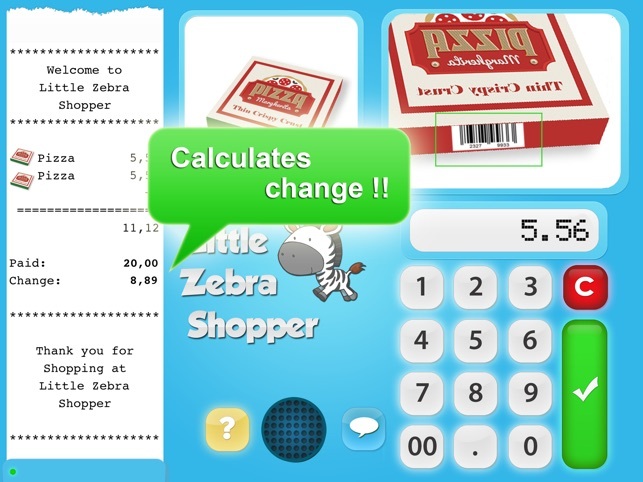 Little Zebra Shopper lets your child scan physical products as part of the real life social play of your child and his or her friends. 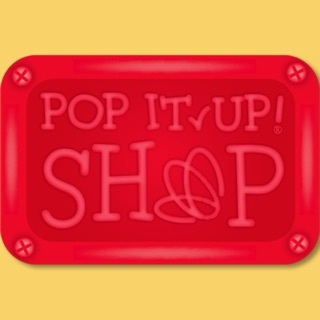 Little Zebra Shopper has many foldable toy products available for download from our website. The app has significant educational value to children, with each product varying value in value to allow children to test and improve their basic mathematics. Now shows images on the receipt! App crashes every time I try to open it. Restarted iPad and it's still not working. Free version seems to be working but the paid version is not. Kids are disappointed. Absolutely love this app! My 6 year old granddaughter wants to play "store" all the time! We printed out all of the products and then created the food items out of clay before sealing the boxes. This adds enough weight to the paper boxes to make them feel more realistic, and is also a fun project. I opted for the Gold edition right away, which eliminates the need for in-app purchases. Totally worth it. The credit cards work well and are adorable, but I'm willing to play "store" so that my granddaughter can learn about money transactions and making change, etc. Now if they added the functionality of emailing a credit card statement to the customer to "settle-up", I would be most impressed. ;) I see a lot of potential with this app! I'd like to see more barcode items, perhaps as a sheet of barcodes you can print out and affix to real items such as coffee cans and used/empty plastic containers that are fun to play with. You could have quite an inventory of products that way. Another step in the right direction would be to teach simple budgeting to the wee ones. Five stars! When I bought it I didn't know you had to print the bar codes out?!?!? !